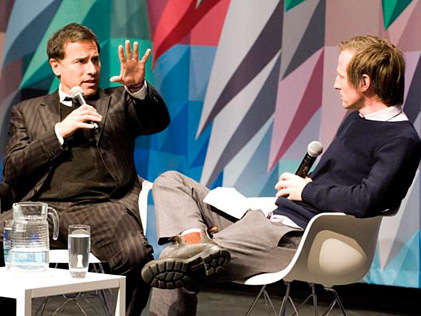 On the opening night of his retrospective at Museum of the Moving Image, director David O. Russell (The Fighter, Spanking the Monkey, Flirting With Disaster, Three Kings, and I Heart Huckabees) was interviewed by his friend, director Spike Jonze (Being John Malkovich), following a special screening of The Fighter. The conversation, like their films, was unpredictable and unforgettable, and filled with surprises. It was part of the opening programs at the Museum's expanded and transformed building.